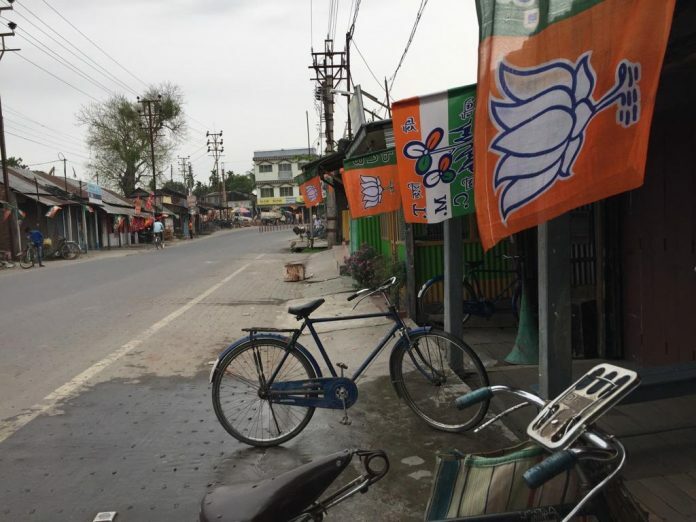 Cooch Behar, Alipurduars, Siliguri: With the BJP firmly setting its sights on West Bengal, the poll narrative in the northern part of the state appears to be veering towards a Didi versus Dada contest. Of the eight Lok Sabha constituencies in North Bengal, the BJP is eyeing Cooch Behar, Alipurduars, Jalpaiguri and Darjeeling. In the past 10 days alone, the party has held two high-profile rallies in the region — Prime Minister Narendra Modi held one at Siliguri on 3 April while BJP president Amit Shah was at Alipurduars on 29 March. The BJP is hoping to build on the momentum it has created in the past few years. Ahead of the elections, the word on the streets here is that the region may end up witnessing a two-horse race between Modi’s BJP and the Trinamool Congress (TMC) of Chief Minister Mamata Banerjee. Be it the dwellers of the former Bangladeshi enclaves in Cooch Behar, the tea workers in Alipurduars or the labourer harvesting potato in Jalpaiguri, the common refrain here is that there is a wave for both — Didi (elder sister in Bengali but referring to Banerjee) and Dada (older brother in Bengali but referring to Modi). Even being mentioned among the frontrunners is an achievement for the BJP, which finished third in three of the seats in the region in the 2014 Lok Sabha elections. But it has a lot of ground to cover, at least in two of the constituencies, if it wants to catch up with the TMC. In 2014, the BJP won in Darjeeling and performed creditably in Alipurduars where despite finishing third, the party garnered 27.41 per cent of the votes. The Trinamool, which won in Alipurduars, managed 29.58 per cent of the votes. The TMC won the other two seats relatively comfortably, polling 39.5 per cent of the votes in Cooch Behar and 37.93 per cent in Jalpaiguri. In contrast, the BJP polled 16.33 per cent votes in Cooch Behar and 16.99 per cent in Jalpaiguri. It was the Left Front — of the All India Forward Bloc (AIFB), Revolutionary Socialist Party (RSP) and CPI(M) — that bagged the second place in the three constituencies. The AIFB secured 32.96 per cent of the votes in Cooch Behar while the RSP managed 27.84 per cent of the votes in Alipurduars. In Jalpaiguri, the CPM garnered 32.6 per cent of the total votes polled. This time around, Cooch Behar and Alipurduars go to the polls on 11 April while Jalpaiguri and Darjeeling will vote on 18 April. The BJP’s rise in the region is being attributed to its religious polarisation tactics. Among those who believe this is CPM leader and Siliguri mayor Ashok Bhattacharya, who says that it’s the Hindutva and the nationalist discourse of the BJP that has resulted in a Hindu-Muslim divide in the region. He, however, adds that Banerjee has to take some of the blame for this. “Her appeasement politics of the minority community, be it giving imam bhata (a monthly salary for imams) or a 2014 election poster that showed her offering namaaz, provided the BJP with an easy opportunity to come and play the Hindutva card,” Bhattacharya says. The BJP appears to be mindful of this. Party president Shah, during his rally in Alipurduars on 29 March, said if BJP comes to power it will replicate the National Register of Citizens in West Bengal and throw out all “infiltrators”. “We will ensure that Hindu refugees are not touched,” he had said. The BJP’s strategy appears to be working despite the region being overwhelmingly Hindu. As per the 2011 Census, Hindus constitute 74.06 per cent of the 28 lakh population in Cooch Behar while Muslims are 25.54 per cent. In Alipurduars, 97.59 per cent of the 65,232 population is Hindu. Muslims account for just 1.68 per cent of the population. In Jalpaiguri, of the 38 lakh people, Hindus constitute 81.51 per cent while Muslims account for 11.15 per cent. In Darjeeling, Hindus constitute 74 per cent of the total 18.46 lakh population while Muslims are 5.69 per cent. In 2014, West Bengal was one among the handful of states where the Modi wave failed to make a splash — the TMC had won 34 of the 42 seats here. This time, however, the prime minister appears to be having an effect, with the Balakot air strikes only adding to his aura. “For the first time, we have a leader who has taken strong action against Pakistan. He is very decisive and makes India look good,” says Manotosh Das, a 25-year-old who works in a private company in Naxalbari. In many of these areas, voters seem ignorant of the BJP candidate but say they will vote in the name of Modi. “We have seen the work that he has done in the last few years. 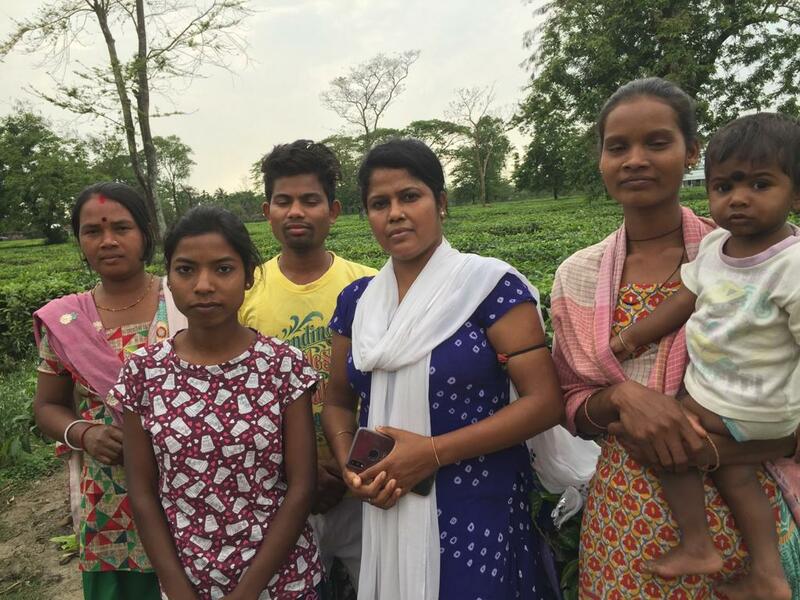 It’s enough for me to make up my mind,” said Sunita Barai, a primary school teacher at the Majhedabri tea estate in Alipurduars. There are many, though, who are wary of him and his party’s politics. In all of the churn in North Bengal, it is the Left parties that appear to have lost out. Despite a creditable performance in 2014, where the front finished second in three seats and third in Darjeeling, the communist parties have now been relegated to the sidelines. On the ground, except for a few pockets in Cooch Behar and Alipurduars, one hardly sees any festoons or banners of the Left Front parties. “Many of the Left Front leaders have joined either the BJP or the TMC, leaving the organisation rudderless,” said a local CPM worker, who did not want to be named. With the Left in disarray, the BJP and the TMC have stepped up their campaigns. Modi held a rally in Siliguri on 3 April and another rally is planned in Cooch Behar on 7 April. Mamata, on her part, held rallies in Cooch Behar, on the same day that Modi was in Siliguri, addressed a rally on Cooch Behar on 4 April and one in Naxalbari on 5 April. But Didi’s popularity, locals allege, is being hamstrung by her party workers. He also emphasised that the TMC’s policies towards Muslims were all about righting a wrong.